Could Elizabeth Gilbert Actually Have Decent Advice? 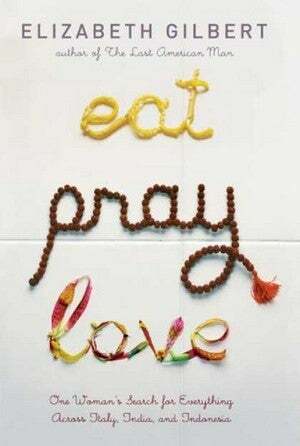 Filed to: Eat, pray, think?Filed to: Eat, pray, think? Elizabeth Gilbert can often come off as self-absorbed and obnoxious, but in this interview the Eat, Pray, Love author actually offers some useful and comforting advice on making decisions. Please do me this great service and please do me this great favor and please do yourself this great favor. And try to remember, 10 years from now, when you're second guessing this decision that you made, that you made the very best decision that you could make on this day with the information that you had today. As the years go by, you'll have more information and you might wish that you had done things differently. But just don't forget that on the day that you had to make the choice you didn't know and you only knew what you have now. Don't abuse yourself later for what you didn't know now. It's sensitive advice for anyone considering terminating a pregnancy, but it also applies to any of life's many hard choices. Gilbert expands, "just remember, when you're in the course of a difficult decision or when you look back on that difficult decision in decades to follow, that you made the best choice you could, given what you had." It's easy for people — but perhaps especially for women — to beat themselves up over decision they made in the past. To honor your past self, to respect the choices she made and understand that she did the best she could, is a difficult thing, but ultimately freeing. It's good that Gilbert — who has probably done and said plenty of things she regrets — understands this.